Switzerland has become the first European country to allow the sale of insect-based food for humans. 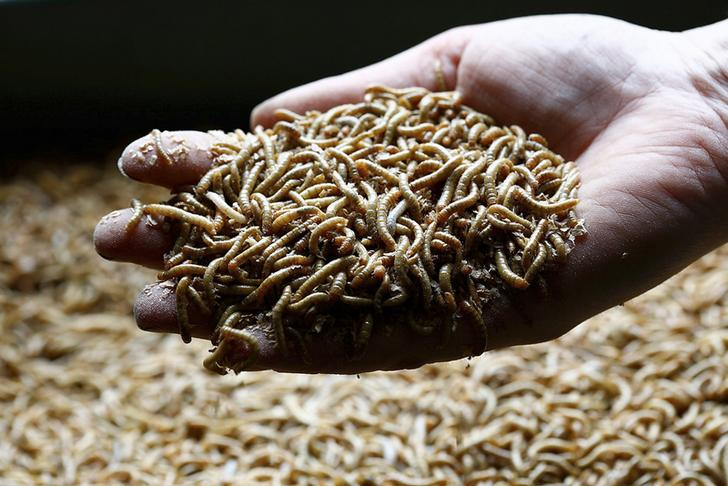 Fancy tucking into a mealworm burger? How about chomping on some insect balls? If you live in Switzerland you can, after the Coop supermarket chain announced it was stocking a new range of insect-based foods. Switzerland this year became the first European country to allow the sale of insect-based food for humans. Despite being considered delicacies in some Asian nations, as actress Angelina Jolie demonstrated on a trip to Cambodia earlier this year, insects are banned as food in many western countries. However, Switzerland altered its food safety laws in May to allow the sale of food items based on three types of insect: grasshoppers, crickets and mealworms. Coop’s new range of mealworm burgers and balls, which are being sold in several Swiss supermarkets in August, have been developed by Swiss start-up Essento. The company has received support from Europe’s largest climate change innovation initiative. Climate-KIC’s website describes Essento as bringing a “much more resource- and environmental-friendly way to consume animal proteins to the market”. Global livestock emissions account for more than a seventh of all man-made greenhouse gas emissions, and the methane emitted by the animals we eat is considered to be up to 30 times more harmful than carbon dioxide. Getting our protein from insects could help ease the burden that our diets place on the climate. Insects could also help meet the global food security challenge. By 2050, a global population of 9.7 billion will demand 70% more food than is consumed today, according to some experts. While technology is touted by some as a way of meeting this huge rise in food demand, insects could also be part of the solution. If we are going to successfully deal with massive increases in demand for food in the coming decades, then we will need to stop wasting so much of it. It is estimated that just under half of all the food we produce ends up as waste – roughly 1.3 billion tons. Insects can help here too. Species such as the larvae of the black soldier fly (BSF) turn rotting food into high-quality nutrients. There are now companies around the world looking to commercialise the protein, fats, chitin and compost produced by species like the BSF, including it in products such as pet food and livestock feed. It is thought that this could make an extra 325 million tons of food available. To put that number in context, in 2012 the total net food production in sub-Saharan Africa was about 230 million tons. Insects: the secret weapon to saving food waste?